Gold fell on Thursday as the dollar regained some ground and uncertainty over Brexit eased, but the metal held close to a two-week high hit in the previous session as tepid U.S. inflation data cemented expectations that the Federal Reserve would hold rates. 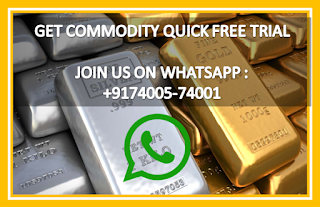 Spot gold was down 0.4 percent at $1,303.87 per ounce as of 0555 GMT, after touching its highest since March 1 at $1,311.07 on Wednesday. U.S. gold futures also dipped 0.4 percent, to $1,304.20 an ounce. "The dollar is playing a main role in driving gold prices down during Asia trading hours. The dollar has been falling for the last four sessions and we are seeing a small rebound today," said Margaret Yang, a market analyst with CMC Markets, Singapore. Yang said the safe-haven demand for the metal, as a hedge against Brexit uncertainty, declined after British lawmakers rejected leaving the European Union without a deal. The lawmakers are now widely expected to vote, later in the day, to delay Britain's departure from the EU, currently scheduled for March 29. "The markets are assessing the landscape in Europe and UK after the vote. If we do see the deadline pushed out, there wouldn't be a huge impact (in gold prices), but the reaction will be great if we see some sort of deal agreed to in the UK parliament," ANZ analyst Daniel Hynes said.